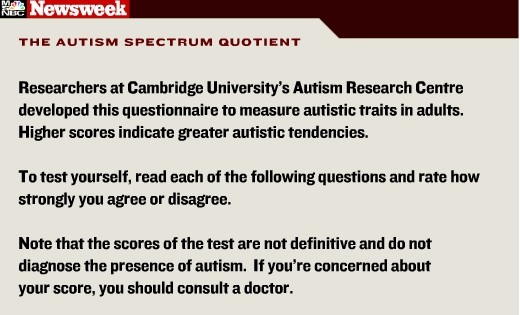 The Autism Research Centre in Cambridge has developed an Autism Spectrum Quotient test. A score of 32-50 indicates your answers may suggest you identify with features of Autism. Should you score within this range then supports for people on the Autistic Spectrum may be useful for you.